When I first saw the trailer for Spider-Man: Into the Spider-Verse, my curiosity was immediately piqued. I thought the movie was going to be live-action but quickly realized that it was animated instead. Yet, the animation style was unlike anything I’d seen before. Was it CGI? Hand-drawn? Stop-motion? Did I see print textures, text bubbles, AND a combination of anime, monochrome, and cartoon characters? Then there was the plot. 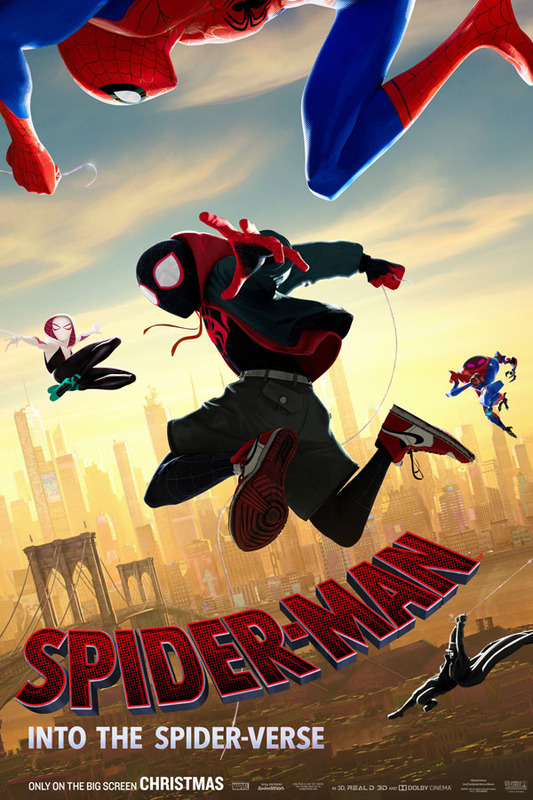 This film focuses on the newly empowered Miles Morales and his brush with alternate dimensions. I had no idea how I’d like this storyline as compared to the classic Spider-Man idea. But, after seeing Spider-Man: Into the Spider-Verse, I actually really enjoyed it and can’t wait to see it again with my family! As mentioned, Spider-Man: Into the Spider-Verse tells follows the story of Miles Morales, a half black, half Puerto Rican teen growing up in Brooklyn. He loves his family and his neighborhood. But, he’s struggling to adjust after transferring to a new school. While hanging out in an abandoned subway area, Miles is bitten by a spider and his life instantly changes. As if that wasn’t enough, he’s thrust into an evil plot to open portals to different dimensions which, at the same time, threatens to destroy his world. Miles does get a little help from an older, more experienced Peter Parker but, well, that doesn’t go so smoothly at first. We also get a female powerhouse in the form of Spider-Gwen, several favorite baddies, a fiery Aunt May, and a pig. It’s a modern coming to age story about family, friendship, loss, self-discovery, embracing what makes each person special, belief in others, and belief in oneself. Spider-Man: Into the Spider-Verse is so much fun to watch. The movie offers the perfect mix of clever storytelling, humor, suspense, heart, and action. And, of course, it’s packed with enough geeky comic book references to make any Spider-Man fan happy. Also, much attention is given to rich character development, making each person (or other living things) relatable in one way or another. I did NOT expect to find such an array of diverse characters with complex personalities and backstories in an animated film such as this. With a solid storyline and appealing characters, filmmakers were able to capture the very elements which have drawn so many to comic books and the concept of superheroes over the years. Don’t let the fact that it’s animated delude you into thinking it’s a fluffy kids film! It’s not that at all! 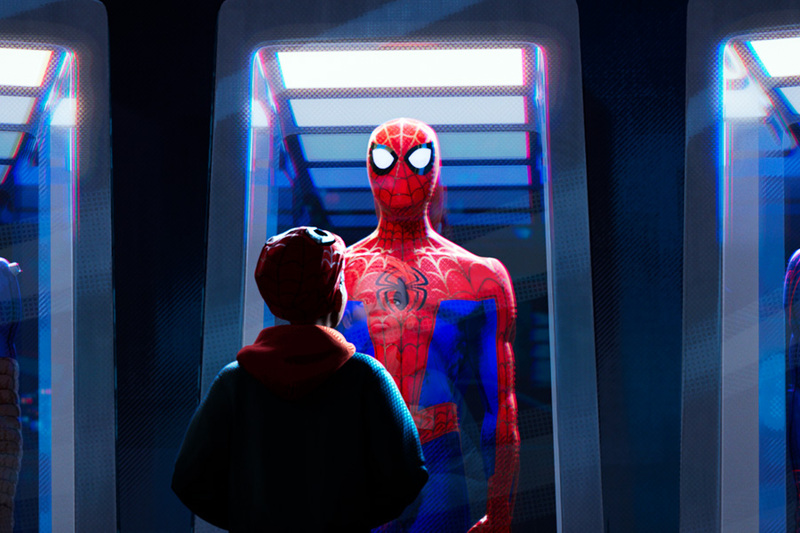 People often talk about bringing comic books to life but I’ve never seen it done the way it was in Spider-Man: Into the Spider-Verse. The visual style might take a bit of getting used to but, when you do, it’s as if you opened the pages of a comic book and are right there reading each printed panel. There are a variety of textures overlaid on the animation, certain facial features are shown as pronounced pen-like lines, emotions or inner thoughts are written or drawn out, and some parts even mimic misaligned colored printing. Even with the contrasting art styles of Spidey’s from other dimensions, it all works seamlessly. The highly-stylized animation is unique but grows on you. Overall, the movie moves at a good pace but does seem a bit long at times. It kind of felt like I was binge-watching six separate episodes versus one full-length movie. There’s A LOT of material covered in this film. After watching the movie, it took me a good couple of hours to wind down and process it all. You definitely have to see it at least 2-3 times to let it sink in and catch all the cameos and easter eggs. Also, it might be good to watch the movie with a fluent Spanish speaker to understand some quick lines spoken by Miles’ mom and one of the villains. 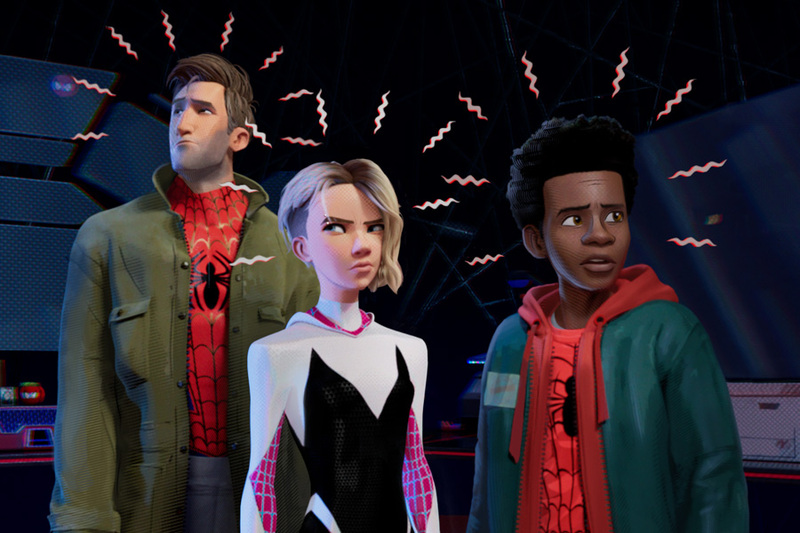 Spider-Man: Into the Spider-Verse Movie Review — For Kids? 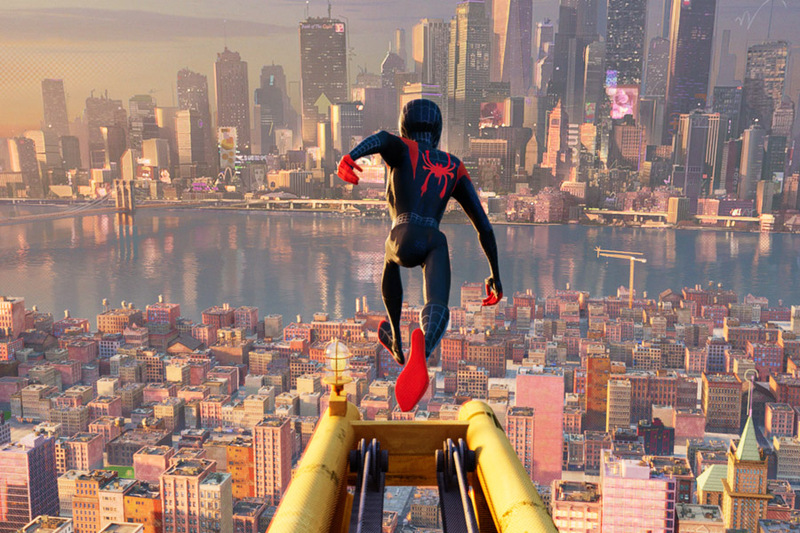 Is Spider-Man: Into the Spider-Verse good for kids? While it is an animated film, it is recommended for ages 8 and up according to Sony. However, that age range may depend on each of your children. Some themes, scenes, and dialogue might be too much for younger children. There are a lot of fighting scenes (intense but not bloody) and two characters die in pretty tragic ways. Those with special needs may be on sensory overload with quick moving portions that include a series of bright and flashing lights. At times, the story jumps back and forth between past and present so little ones might have a hard time following what’s happening. If your kids enjoyed other Marvel movies, though, they should be fine with this. Just so you know, Miles enjoys graffiti-type art and often places his artwork on stickers around the city. His uncle even takes him to a spot to let loose and spray paint one of his pieces on an underground wall in a restricted area. Tagging is portrayed as a creative outlet rather than acts of vandalism or rebellion. Some parents might find it important to discuss commissioned murals versus destruction of public or private property. 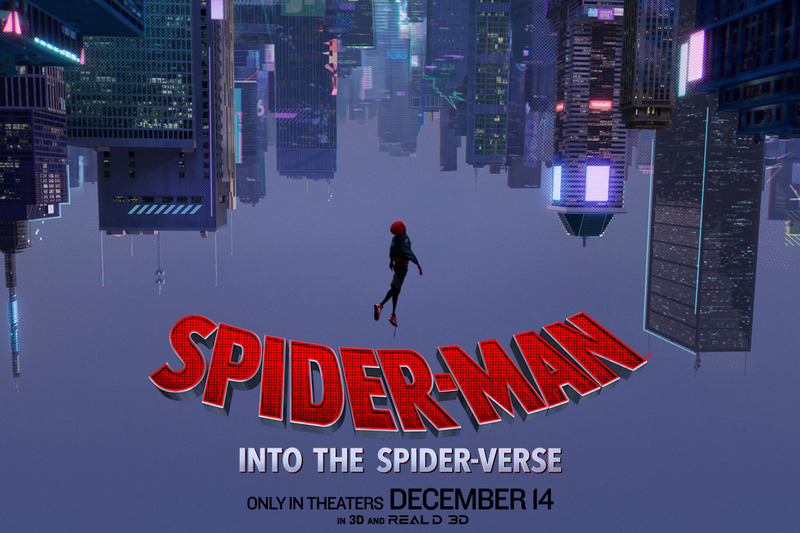 I liked Spider-Man: Into the Spider-Verse so much that it is now one of my favorite Marvel films to date. I found myself laughing, crying, smiling, and on the edge of my seat throughout the entire movie. 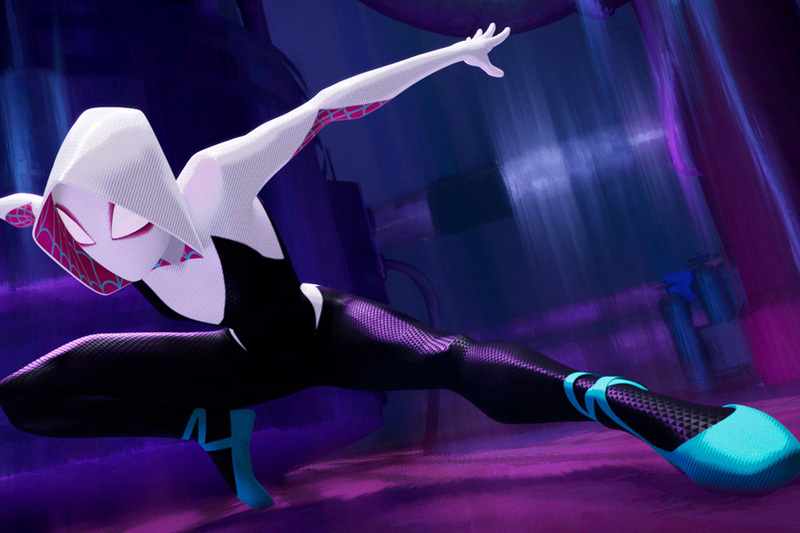 If you and/or your family love superhero movies, you’ll love Spider-Man: Into the Spider-Verse. Oh, one more thing — make sure to stay until the credits are over for a SUPER fun post-credit extra that’s so worth the wait! 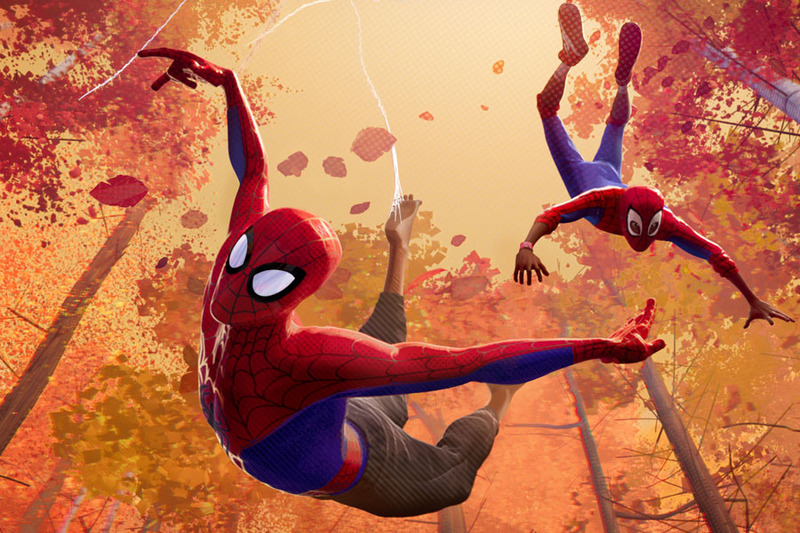 Spider-Man: Into the Spider-Verse will be in theatres December 14, 2018! I was invited on an all-expense paid media trip as a guest of Sony Pictures. All opinions are my own.